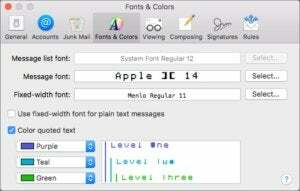 It's easy to switch the default font in Mail—when it works. I would like to permanently change the default font setting from “Helvetica 14pt” to “Helvetica Neue Light 14pt” in my mail application so that my messages appear as this one does. 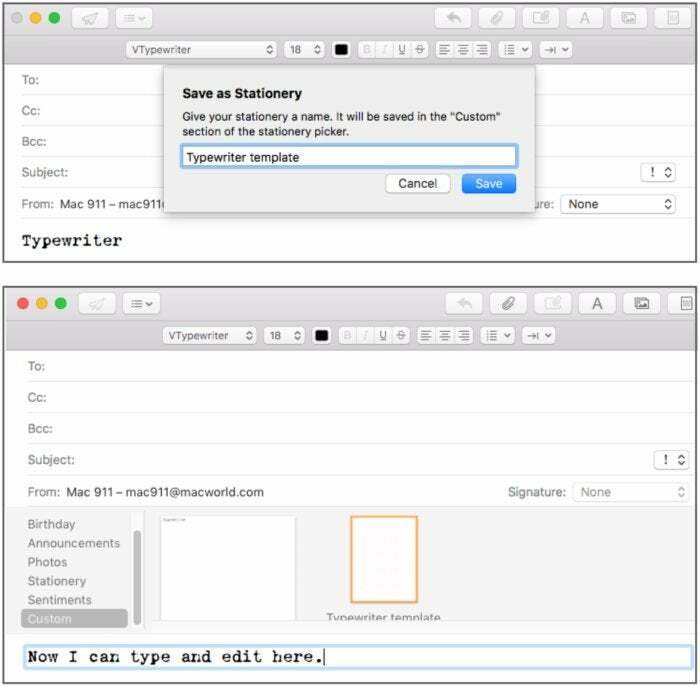 You can set the default font and size for viewing and other macOS Mail elements. However, Mark tried this, and while changing the Message Font did switch existing email messages’ display, it didn’t automatically use those font settings when he composed a new message. I tried the same steps on my Mac, and it worked without a hitch. Forum posts on Apple’s site and elsewhere reveal this isn’t uncommon. Some number of people can’t make Fonts & Colors change the default composition type settings. If you have this problem and want to test whether or not it’s system-wide, you can create a new macOS account, log in, set up Mail with an email account for testing, and then see if changing Message Font works for newly composed emails. Mark tried this and had the same problem. I consulted Apple Mail guru Joe Kissell, who has wrangled Mail for iOS and macOS as much as any human, and he was stumped as well, though he agreed the stationery feature, while clunky, would work. Reinstalling macOS might help (not a clean install, even) by knocking out some setting or kruft that’s causing this to happen. 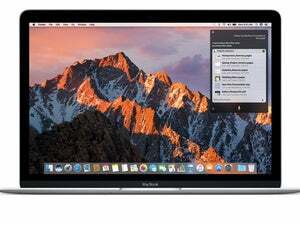 Joe has an ebook on upgrading to Sierra that can help with this. Create a new email message and set the type and other options the way you want. 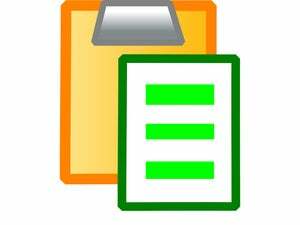 Choose File > Save as Stationery. Name the stationery descriptively and click Save. Creating stationery can work around a Mail bug. Create a new email message. Click the Show Stationery Pane button at the upper right. From the stationery list, scroll down to show Custom, and click it. Click the word you typed, and then you can edit the message. Stationery can only be applied to new messages, not replies. At one point, at least one Mail plug-in would provide additional template and font features, but Apple changed the app’s architecture a few releases ago. We’ve compiled a list of the most commonly asked questions we get, and the answers to them: read our super FAQ to see if you’re covered. If not, we’re always looking for new problems to solve! Email yours to mac911@macworld.com including screen captures as appropriate. Mac 911 cannot reply to email with troubleshooting advice nor can we publish answers to every question.